There are plenty of reasons to visit St. Louis’ Grand Center this fall. A Broadway production at the Fox Theatre. Beethoven’s Triple Concerto at the St. Louis Symphony Orchestra. Basquiat Before Basquiat: East 12th Street, 1979–1980 at the Contemporary Art Museum St. Louis. Joey Alexander at Jazz St. Louis. Or, with the Gateway City’s postseason dream still alive, Baseball: America’s Game, Art and Objects at the International Photography Hall of Fame. But, if you wait until November, you can also stay right in the city’s famous arts district. The Grand Center Arts District sits just north of Saint Louis University’s campus. The historic neighborhood—it’s even on the National Register of Historic Places—is home to an eclectic mix of restored old and new buildings. Street art and neon signs are mixed in with concert halls and art museums. Live performances flow into Strauss Park. It’s amazing that it’s taken this long for an art-themed hotel to be built. The former Missouri Theater is currently being turned into Angad Arts Hotel. The 12-story building will be filled with art, spanning from performance and visual arts to fashion, gastronomy, and literature. Its Grand Tavern will be helmed by acclaimed chef David Burke. He’s already working on modern twists to local classics. Chameleon Lounge, on the top floor, will feature a giant Chameleon Lamp. It will showcase a 360-degree video art experience. 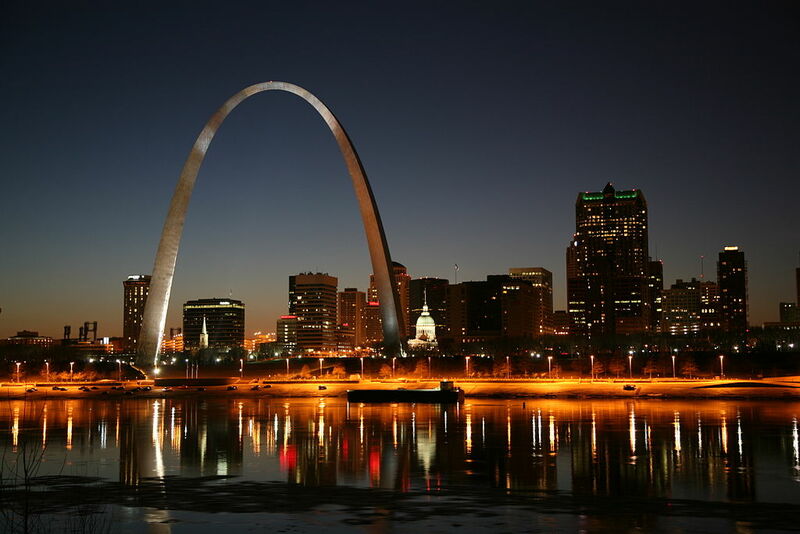 Plus Angad Rainbow Terrace, a rooftop bar, has a view of St. Louis’ skyline, including its iconic Gateway Arch. Then there are the rooms. Like most hotels, you’ll get to choose your room type. Small, medium, double queen, double bunk beds, and suites are among your options. You also get to select your color. Passionate red. Tranquility blue. Happy yellow. Rejuvenation green. Your mood can guide you toward the right space. You’ll be surrounded by a new form of art in not only your hotel but your individual room. St. Louis is about to get a lot more colorful.